"What is cryptocurrency? ", How to invest in Bitcoin?, in the last month or two, you must have either asked these questions yourself or would have heard them from others numerous times. The world took notice of Bitcoin, one of the most valuable cryptocurrencies, when it touched the record high of $19,000 giving manifolds growth to the investors who had invested in it when it was available at discount. This is a phenomenal growth, by any standard. Even the best of the best companies, in the equity market, haven't produced such sterling returns in such a short time. In the recent past, many stories have emerged of how you could have become a millionaire had you invested in Bitcoin in 2011 and so on and so forth. But all this daydreaming is of no avail, what can be beneficial is that if you understand where it is going in the time to come and how you could become a stakeholder in that success. But Seriously, What Is Cryptocurrency? Cryptocurrency is a digital money that is designed to be secure and anonymous. It is a currency associated with the internet that uses cryptography, the study of techniques for the secure communication. This is a process of converting decipherable information into a virtually uncrackable code, to track purchases and transfers. It will be safe to say that the cryptocurrency aims to be extremely safe and secure. Perhaps that is the reason cryptocurrency is being described by many as the money of the future. Today, cryptocurrencies, especially Bitcoin, have become a global phenomenon known to most people. We will discuss the history and the types of cryptocurrency in detail in the latter part of the article. How Can Indians Invest/Trade In Bitcoin? The usage of Bitcoin for online purchases and transfer is illegal in India, however, if you want to gain from the volatility of the cryptocurrencies then trading in cryptocurrencies is your best bet. There are various Digital Currency Exchanges available in India where you can trade in cryptocurrencies. Forums like Zebpay and Coinsecure allow traders to trade in not just Bitcoins but a number of other cryptocurrencies. All these forums follow a strict self-regulatory code of conduct which makes it mandatory for all the traders to be KYC compliant which require them to produce PAN card, Adhaar Card and bank details for registration. A Word Of Caution - Trading in Bitcoins, like trading in equity or commodity is totally legal, but the traders should be extremely careful and diligent in their trades as the cryptocurrency market is known for being extremely volatile. The exponential volatility of Bitcoin took its value from $1,000 to $19,000 within a year and brought it back to $9,000 just a month after hitting the all-time high level. As a trader, you stand to gain a lot at the same time the downside is equally steep. The paper currency, which is a legal tender of the country is governed by the government who decides when to print, how much to print and how to distribute it. In case of Bitcoin, it doesn't have a central government as it is decentralised and doesn't have a physical form. So where do bitcoins come from? From mining. Bitcoin miners use specialized software to solve math problems and are allotted a specific number of bitcoins in exchange. This gives a smart way to issue the currency and at the same time provides an incentive for more people to mine. Cryptocurrency and equity are as different as chalk and cheese. One is a well-managed and regulated asset class while the other is a decentralised and unorganised, new age asset class. But as the Bitcoin trading has caught everyone's fancy we have to pit these two assets against each other to see which one fares better. 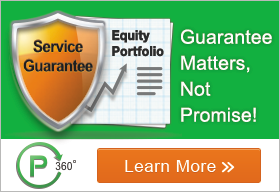 In equity, investors get the chance to explore investment opportunities on a long-term basis. If you are convinced about a certain company or the business, equity gives you the opportunity to be a stakeholder in its success. There is a systematic analysis to ascertain the strong points of the business and for risk management. Hence, it will be safe to say that, equity investment is safe and secure on all the counts. On the other hand, if you look at Cryptocurrencies, there are very few people who have the working knowledge of the price movement of Cryptocurrencies. People are trading in the heavy volume mostly because they are the victims of the FOMO (Fear Of Missing Out) effect created by people across the world. Just after the bullish frenzy got over, where Bitcoin surged manifolds, in early January, the price of Bitcoin and many other Cryptocurrencies corrected considerably. Few saw it coming as there is no systematic method to analyse the future potential of Cryptocurrencies. Moreover, there is also an overhanging question on the legality of Bitcoin. Many countries, like India, have yet not recognised it as a legal tender. Taking all these factors into account it would be fair to say that trading in cryptocurrency is far riskier than equity. Is It Legal To Trade Cryptocurrency In India? Bitcoin or any other Cryptocurrency is not legal in India. Indian Government doesn't recognise them as a legal tender. This is a clear stand of the government on all the Cryptocurrencies. Furthermore, the finance minister, Arun Jaitley, recently gave a cautionary warning to all the Cryptocurrency traders that they are doing it at their own risk. On the future of cryptocurrencies, the finance minister has made his and the government's stand very clear but we can't rule out the possibility of it getting acceptance in the future. The cornerstone quality of all the Cryptocurrencies is that they are decentralised which simply means they are not governed by any central authority. This is a liberating at the same time worrying factor of the Cryptocurrencies. Let me help you with an example when you are trading in the equity market, all your transactions are monitored by SEBI which looks after the interest of the investors in the capital market and at the same time ensure that fair business practices are employed by the management of the corporations and the brokers. When you are trading in Cryptocurrencies you will not get any aid from Indian regulators as the Bitcoin and other Cryptocurrencies are out of their purview of authority. Therefore if a trader has any grievances about any of the digital currency exchange he can't get any help from the local authorities. In 2009, a mysterious programmer or it is widely believed that it is a group of programmers under an alias Satoshi Nakamoto introduced the world to Bitcoin. At that time, Satoshi described it as a peer-to-peer electronic cash system. Bitcoin is completely decentralized which means there are no servers involved and there is no authority that is controlling as it is done in the centralised system. The concept closely follows peer-to-peer networks for file sharing. One of the biggest challenges that any payment network faces is to solve double-spending. It is a crooked technique of spending the same amount more than once. The traditional solution for this issue was a trusted third party which is a central server which keeps records of the transactions and balances. However, this method always requires an authority essentially in control of your funds and with easy access to all your personal details. As a departure from this, in a decentralized network, every individual participant needs to perform this job. This is done via the Blockchain which is a public ledger of all transaction that took place within the network, available to everyone. Thus everyone in the network can see every accounts balance. In the recent past, Bitcoin has become a buzzword, but Bitcoin is just a part of the larger universe called Cryptocurrencies. Indeed Bitcoin is the leader in terms of value and market capital but there are many other Cryptocurrencies which are also being actively traded across the world. The closest competitor of Bitcoin is Ethereum which gave approximately 3000% returns in 2017. At this point, there are around 1500 Cryptocurrencies. However, we will try to learn more about the leading Cryptos which have taken the world by storm. Litecoin was launched in the year 2011. It is one of the first cryptocurrencies which hit the market right after bitcoin. It is often referred to as silver to Bitcoins gold. Litecoin was founded by Charlie Lee, an MIT graduate and former Google engineer. Litecoin uses "scrypt" as a proof of work and it is based on an open source global payment network which is not regulated by any central authority. In many ways, Litecoin is similar to Bitcoin, however, it has a faster block generation rate and therefore offers a faster transaction confirmation. In a way, it is better than Bitcoin. That is one of the reasons that apart from developers, there is a growing number of merchants who have started accepting Litecoin. Ethereum was launched in 2015. Like other cryptocurrencies, Ethereum uses a decentralised software platform that allows Smart Contracts and Distributed Applications to be built and operate without any downtime, fraud, control or intervention from a third party. Ether is the platform-specific cryptographic token on which all the applications on Ethereum are run. Apart from being a tradeable cryptocurrency with a current market cap of over $34 billion, Ether is also used by app developers to pay for services and transaction fees on the Ethereum network. This disruptive technology has got plenty of attention and has induced many individuals as well as corporations to use the platform. As a result, the value of one ether saw a dramatic rise from $8.24 on January 1, 2017, to $1414 in January 2018. With the supply of 18 million tokens per year, there are currently over 95.7 million ether tokens in circulation. Zcash was launched in 2016. It's a decentralized and open-source cryptocurrency. If Bitcoin is secured, Zcash is a super secured. The salient feature of Zcash is that it offers privacy and selective transparency of transactions which gives Zcash an extra layer of security or privacy through which all the transactions are documented and published on a blockchain, however, details like the sender, recipient, and amount remain private. Another important aspect of Zcash is that it offers users the choice of shielded transactions. This allows for content to get encrypted with use of the advanced cryptographic technique or zero-knowledge proof system called a zk-SNARK developed by its team. Dash was launched in January 2014. In a short period of time Dash has experienced immense fan following. Dash was earlier known as Darkcoin. It is a more secretive version of Bitcoin. In terms of privacy, Dash offers more anonymity as it operates on a decentralised master code network that makes transactions almost untraceable. Dash was created by Evan Duffield and it can be mined using a CPU or GPU. In March 2015, Darkcoin was formally rebranded to Dash, which is an amalgamation of words Digital Cash and it now trades under the name DASH. The point to note is that in the process of rebranding there weren't any changes in its original technological features such as Darksend and InstantX. Ripple is a little different than other cryptocurrencies. While all other cryptocurrencies mostly cater to individuals, Ripple is more focused on catering to banks, payment providers, and digital asset exchanges. This is just one thing but there are many more things that set Ripple apart from other cryptocurrencies. The native Ripple also is known as XRP doesnt have its own intrinsic value but it serves as a token to shield the network, called RippleNet, against spam. Essentially, Ripple is a real-time global settlement network which gives quick, fail-safe, cross-border payments with the highest transparency and minimum costs.